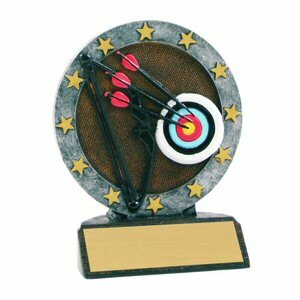 Full color resin archery scene participant award circled by gold stars. Three lines of engraving on a gold plate is included to make this award special. Just 8 pieces available.